Rumours of the worlds depleting energy reserves are making rounds. The situation isn’t grave but the looming graveness regarding it ordains a little look into the situation. Well, the case of Antarctica is such, that there can be no human disturbance whatsoever on the continent and binding laws that are strict are well in force. 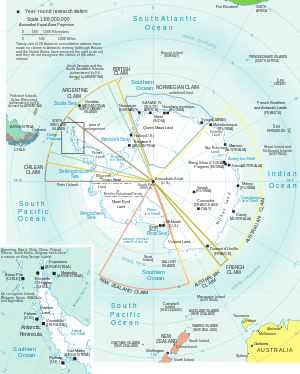 The Antarctic Treaty and the Madrid Protocol qualify every action done in the vicinity of the continent. 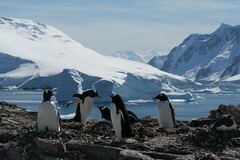 Antarctica is one of the most virgin regions of this planet. These treaties were the outcomes of the catastrophes during the Second World War. The world in the 50’s was going through a period of mass psychological change due to the pulverization we had during the war. Antarctic Treaty was one such outcome. And a few decades later, an up-gradation of the treaty, in the form of Madrid Protocol came in 1991. With this, the world has tied its hands in not laying their hands in Antarctica and also the tying of hands is rather comfortable as any possibilities of exploiting the continent would be a profanity given the transport costs to carry the materials to the markets thousands of miles away. Coming 2048 all the agreements binding on Antarctica are going down the drain because they will just expire like the pills on your shelves. Petroleum reserves are going to deplete in most of the places around the world and we already sense a shortage in the supply don’t we ? By 2048 the prices may go to $200 or $300 a barrel but not more that is the prices per gallon of petrol could be around $10-12 by 2048 (Take into account the cheaper transport that will be available 4 decades later). Bringing in the scenario of Antarctic imports — Antarctica is 17000 kms from USA , 12000 kms from India, 7000 kms from Australia and, Saudi Arabia, a major oil exporter to USA, is 12000 kms from USA. So importing the oil from Antarctica might not be very cost ineffective if undertaken in 2048 – a time when the present day’s crude oil Meccas will have to give away to their mineral depletion. Antarctic wars aren’t any possibility as it will seem to remain under international bodies, though claims may remain, but with the rise of newer global powers the colonial dimensions will dissipate and an oligarchy of neo-capitalist governments or multinationals may take control. The formation of a cartel can be a myth, at least that seems impossible as I am writing this in 2013, being under the conventions of some intra-national organisation, the mining and extraction of oil do seem expensive. Thick sheets of ice and the damage to bio-diversity of the last fragile region of our planet, mining here does seem a greed, well here it might be is a necessity.